The real Middle Earth, the Land of the Long White Cloud, home of the kiwi. I visited New Zealand for the first time in May and I was far from disappointed! My only problem was … I didn’t get enough time to see everything!! A good reason to come back again. Featured photo: myself on Baylys Beach by Leo Nelson. My partner Leo and I left via Virgin Airlines from Sydney to Christchurch in mid-May. After a 3-hour flight, we landed in the cold and rain in the city which suffered from a significant earthquake in 2011. From there we rented a car with GoRentals (cheap but you kind of have to figure things out yourself and might get a very average car) to cross all the way from Christchurch to the Bay of Islands. And all that in just a few days as we had to be up North for my partner’s grandmother’s birthday. We drove 2300+ kilometres, so drove every day, through the rain, the shine, the storms and the blue skies. We did Christchurch, Kaikoura, Picton, Ferry from Picton to Wellington, Rotorua, Hobbiton, Auckland, Dargaville, Waipoua Forest and Bay of Islands. With a total of 9 days, this was a very busy trip! In our case, we knew we drove a lot and did not have all the time we wanted to visit everything we wanted to visit. We could have stayed just 4 days in Wellington and driven up North but we enjoyed being on the move all the time and discovering new things every day so this was a good fit for us. If you are going on a road trip in New Zealand, make sure you do a small bit a research before going to know the essentials or what you want to see and organise your trip. I bought a Lonely Planet travel guide for NZ and I this was such a great help! I could check out the best spots and read more about the country when I was waiting or was not driving. Sure you can check that all online, but when you don’t have the internet on your phone and wi-fi is not often of easy to find, this was life-saving during the trip! New Zealand is in the Southern Hemisphere so be prepared for Autumn/Winter between March and August and Spring/Summer between September and February. New Zealand is known to be a lot colder than Australia so make sure you pack some extra layers, waterproof jackets and umbrellas. Good walking shoes and especially hiking shoes are recommended following the activities you’ve planned. We’ve had some pretty cold days but we were pretty happy - although so much rain! If you are on a road trip, buying a local map is also very handy. Our GPS was useless as we forgot we didn’t have a map of NZ on it (80 dollars so not really worth it for 9 days). I didn’t have data on my phone so couldn’t use Google maps but my partner did buy a data pack so that was easier. Although the road signs were pretty clear so we never had too much trouble as long as we knew where we wanted to go. Finally, prepare your cameras! 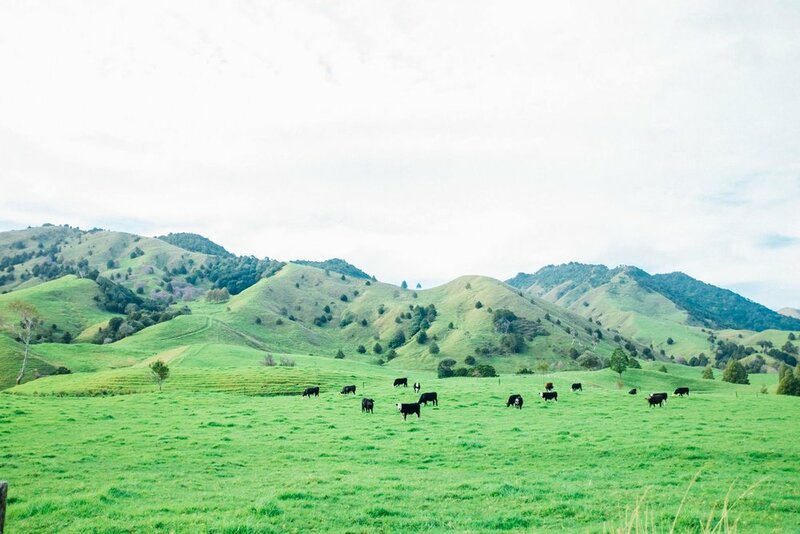 New Zealand is absolutely stunning and every corner is a scenic view. Photographers won’t be disappointed for sure. I had my Canon 6D as usual, three lenses (one standard-zoom, one prime and one wide-angle) and my small Fuji x100s. This time, I prepared a backup plan for my photographs as it is unfortunately too common now to lose files - and I surely did not want to go through that! I bought a good external drive and backed up my photographs every night. For the banking, as I am with Westpac, it was the easiest for me as New Zealand has many Westpac ATM. So I basically could take out some cash from my account without any fees and just the currency change. It was perfect! Make sure to activate your card for abroad transactions by calling your bank before though and not doing 5 minutes before take off like I did haha. In our short times everywhere, here are my favourites! Ok, we stayed in the South only like 2 or 3 days top, but the few things we saw on the South Island were really cool! Two things to know: 1. There are really not many people on the South Island 2. In May, this is a pretty low season so even fewer people. 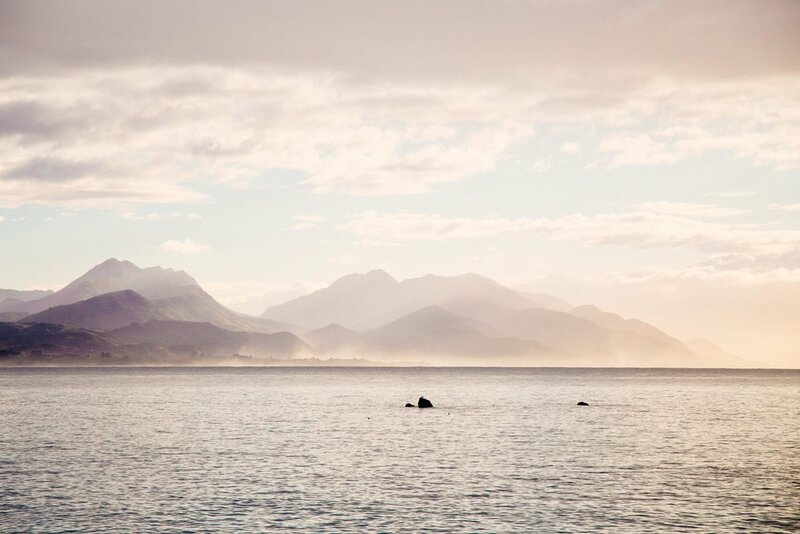 Kaikoura is also a beautiful spot about 2 and half hours drive up of Christchurch. This is perfect is you love long walks, nice ocean views and wildlife. I really enjoyed the sunrise and sunsets as well although the weather wasn’t that great. Make sure to check out the seals near at the end of the esplanade, they are pretty funny! We finally reached Wellington under the pouring rain and were exhausted so I can’t tell you much about Wellington at night - but we still got some amazing pizza from Pomodoro pizza, a place that looked like it came straight from an NYC hidden corner. The day after was absolutely stunning with blue skies - finally! Unfortunately, we didn’t have much time so did only a walking tour around the city, Te Papa museum and Mount Victoria Lookout. The essentials if you want to quickly see the city. The museum is really really interesting and so well designed. You could stay a whole afternoon there and learn so much about New Zealand culture. The mount is also amazing to see a 360 view around Wellington. On our way to the North of the North Island, I really wanted to do a stop there. I initially wanted to go in the mountains but time missing we had to choose. Rotorua is extremely touristy - there are so many hotels, activity centres and offers for tourists. But it’s a great place to understand the Maori culture and discover more about the volcanic nature of New Zealand. There are many parks to discover this but we went to Te Puia which had some Maori dances and talks as well as to see the Kiwi Bird and the famous Geysers. The geyser was super impressive and we also saw the bubble mud bath - at 92 degrees! It was a great place to walk around and visit and we were almost alone! A bit pricey, though. Not too far from there and on the Auckland road, was also Hobbiton! I’ve really liked the Lord of the Rings movies and I could simply not miss this place. Be warned, though, it is very very pricey. A bit too pricey I think but I really wanted to see it. We had the last tour - under the pouring rain once again - but the scenery was amazing and the little hobbit houses as well. It felt quite magical and our guide was so passionate about it, it did the little extra. I really enjoyed it and will remember it for a while for sure. North - Bay of Islands, Waipoua Forest and Baylys Beach. We spent only a day in the Bay of Islands as we were staying a few days in the north but it was simply amazing! In summer, it is a very popular destination but in winter, it’s pretty neat with no crowds. The must do in the Bay of Islands is seeing the islands and dolphins! We took a 3-hour boat tour and must say we had a great time! We saw so many dolphins (and flying dolphins) I couldn’t count, the captain was funny as hell and we went through the hole in the rock which was super impressive! Driving around is really great as well. We saw Russell which is a cute village - it was the first permanent European settlement and seaport in New Zealand. We, unfortunately, didn’t have time to stop in Waitangi next door - best known for being the location where the Treaty of Waitangi was first signed on February 6, 1840, and where the Declaration of Independence of New Zealand was signed five years prior, on October 28, 1835. Not too far, we also went to Waipoua Forest for another day trip which was amazing for its greenery and majestic trees. Waipoua is one of the largest remaining tracts of native forest in Northland and you have access to great walking tracks to the most spectacular trees of the forest: the giant trees named Tane Mahuta, Te Matua Ngahere, Four Sisters, and the Yakas Tree, as well as the historic Waipoua Forest Lookout Tower. If this forest, you really feel connected to nature and its beauty. Just make sure you stay on the tracks and not step on the roots, as well a cleaning your shoes before and after as, unfortunately, a Kauri dieback disease is killing the native kauri. Finally, we stayed at Baylys Beach, just 20 minutes from Dargaville as we visited family there for few days, which was really really nice. There are lots of small seaside village all along the coast and you truly feel refreshed there. We stayed in this small and cute seaside cottage and had access to the beach in a 5-minute walk. The beach is very impressive as it’s huge - it goes on for kilometres of sand. You are allowed to drive with a 4WD on the beach so that must be fun but our car was way too small to safely drive on there. The seas can be pretty wild as well, especially in winter. That would be a great surf though in Summer if you are good at surfing - because the current are very hard in there. Finally, when it’s nice and clear weather you can catch amazing pictures in the day or at night with the milky way! I absolutely loved my first time in New Zealand and can’t wait to go back. My number one wish for next time is going to Queenstown to ski and visit the Milford Sound as well. 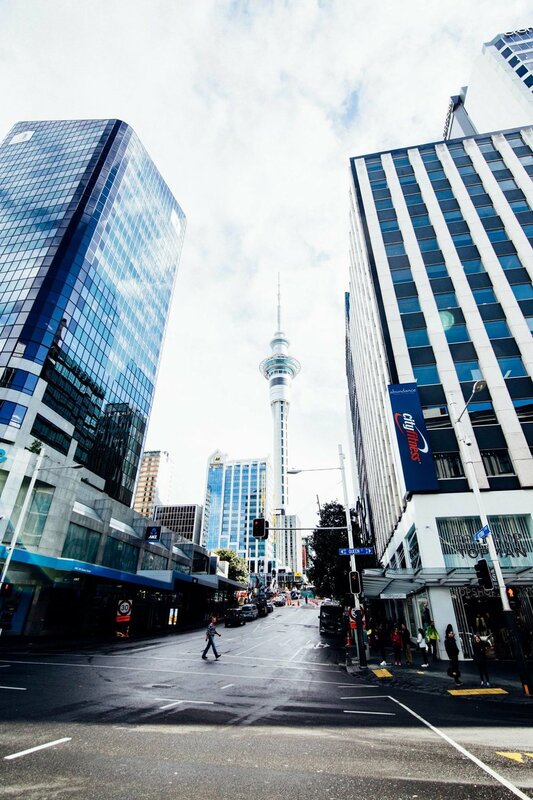 For the cities, I saw Auckland quickly so didn’t see much but why not visiting it again. Wellington was a definitely nice place to be, though, with great food and atmosphere. With only 3 hours from Sydney, it’s definitely feasible again even if it is just for a weekend. Finally, I’d really love to discover more of the fjords and mountains, there is so much to discover in New Zealand! Have you been to New Zealand? Tell me all about your favourite spots! Wanna see all my photographs? Then don't wait and head this way! And stay on the watch for a cool infographic and a video to come. Yep that many new things!